How often do you change the look of your living room or bedroom? Are you tired of boring interior in your home? Read this tutorial and learn the basics of simple but effective wall painting techniques including sponging, striping, stenciling, stamping and more… Walls are the largest surfaces in our homes so if you want them to look fabulous – paint them! I know wall painting seems like a difficult task, but it isn’t! Even with a limited budget and a few simple wall painting techniques you will repaint your room like a professional painter. Ready? Wall painting technique that will make most of the rooms look good. Measure the distances and apply painter’s tape for straight lines. For more advanced types of stripes (diagonals, curves…) you can use laser highlighter to get perfect stripes. When you apply painter’s tape, paint inside, remove the tape and you are done. For more chick look apply the paint with roller without measuring and taping off rest of the wall. Stamps or stencils are one of the most popular wall painting techniques in last years. People use them on all kinds of surfaces (concrete walls, plaster walls, glass, floors…). Stamps can be custom made in any larger print studio or bought in every better stocked shop. Print studios usually offer installation because applying stamp to the wall can be a rather difficult job. Stencils, another great wall painting technique. It is probably so popular because stencils can be made at home from paperboard or any other material that is easy to cut, but hard enough to remain still when it’s applied to the wall. Like stamps, stencil can also be custom made or bought in a shop. When you put your stencil in place, tape it and tape off rest of the wall. Use small brush to fill all the corners and curves. Do not apply to much of paint because excessive paint can ruin your stencil. When paint is dry, carefully remove stencil and check it there are any mistakes. If there are, you can repair them with applying primary wall color. If you don’t want to paint entire room, but want to add something to the walls, you can ‘’frame’’ part of it. Use painter’s tape and paint inside. To make your walls even more interesting, you can create a frame around group of photos which will attract your visitor into looking to photos. Great results without much expenses. 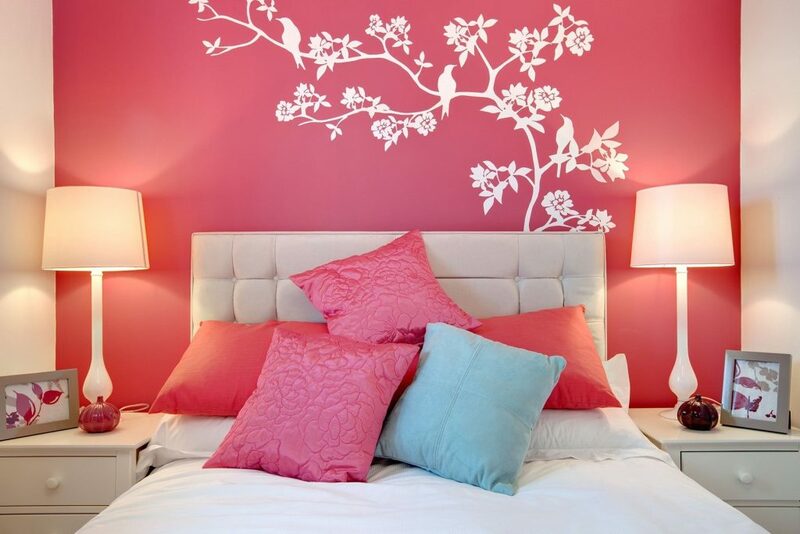 Colorwash is another cool and trendy wall painting technique that will make any room look great. With just a few simple tricks you can achieve fabulous depth and texture. The secret is in adding water to the base color (2 units of paint and 1 unit of water) and then rinsing the wall with brush, roller, sponge or combining them. Or you can use a rag to apply colour to the wall. Great thing about colourwash is that you can use it with any other wall painting techniques. Now you know that great effects can be achieved with small amount of money and a bit of creativity. To get even better results combine different wall painting techniques on different types of walls and surfaces.